I used to have Strawberry Shortcake Dolls. My husband used to play with Transformers. I remember loving to brush the hair of My Little Ponies. I remember adopting my first Pound Puppy. Besides being really awesome back in the day, what do all of these things have in common? They all live together! I mean they all have a home at The Hub. The new(er) network that is bringing back all of our old favorites by introducing them to our children in a new way. This channel is for families of all ages, sizes, and even for people who are just big kids. (You're probably already tuning in.) My favorite show on the network is Jem and the Holograms, which also was my favorite cartoon as a little girl: "Jem is my name no one else is the same, Jem is my Name." The Hub has been on air for about a year. It's run by Discovery Communications and Hasbro, Inc. Two companies who know a thing or two about entertainment. 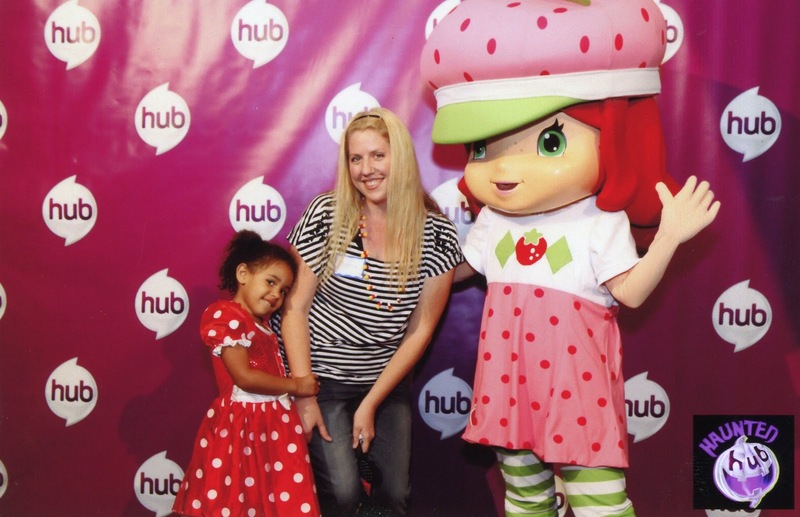 I was excited to learn more about what they have going on at The Hub TV channel and online HubWorld.com at a recent "Haunted Hub" event in LA. We tricked, we treated, we played, we hunted, we crafted, and we watched. 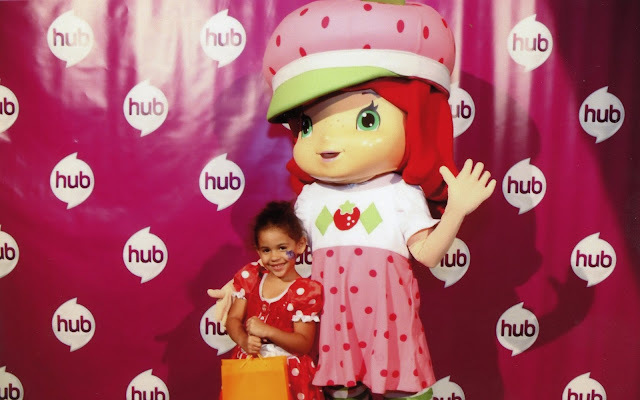 WE MET STRAWBERRY SHORTCAKE!!!! Oh sorry, I was just a tad excited to take my photo with her. (A childhood dream - lol) We saw a preview of the My Little Pony Friendship is Magic Halloween Episode. It was very cute. 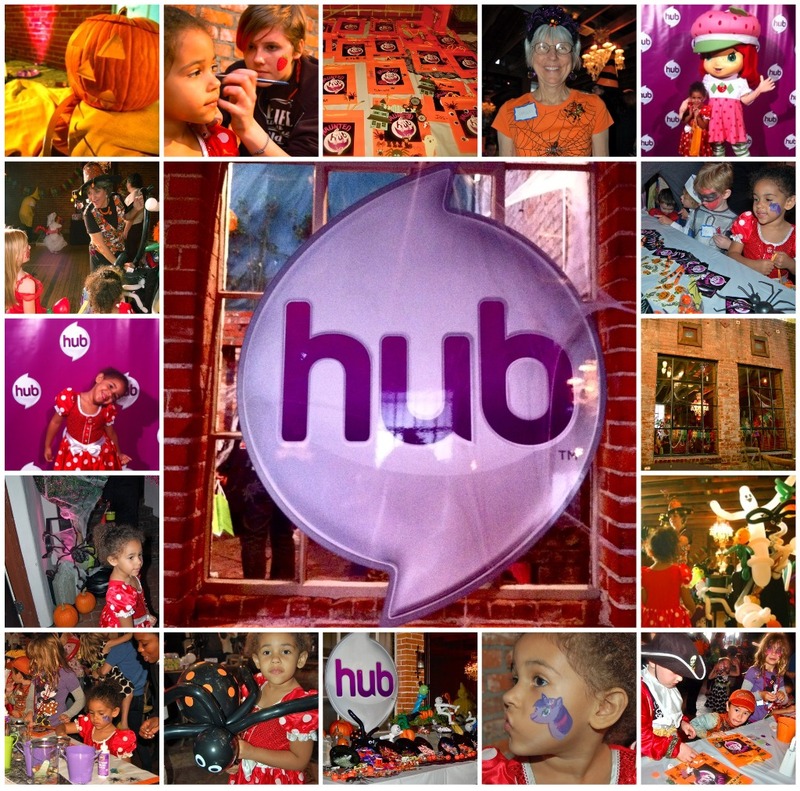 They've been running a ton of Halloween programming to get all of your little spirits in the holiday mood. And did you know that there is a new berry character in Strawberry Shortcake's world... Her name is Cherry Jam and she's just as delish as all of the other girls! Check her out on Berry Bitty Adventures. There's also plenty of shows for the older kids like R. L. Stine's The Haunting Hour and Goosebumps. (remember those) Coming soon to The Hub is Clue a new series to be introduced on the network, sounds perfect for tween kids. Notice a trend here... Popular games and toys of our time being reinvented and recreated on The Hub TV Network. It's pretty genius to me. On their website, HubWorld.com there are plenty of Games to play with or without your family, including all of your favorite board games like Scrabble, Pictureka, The Game of Life, and also Nerf games. Can you say Family Game Night? There's also a club you can join, called Club Hub. It's free and gets you access to cool Hub World stuff. And learn more info on their Twitter and Facebook accounts. Thanks for the walk down memory lane Jess!! !